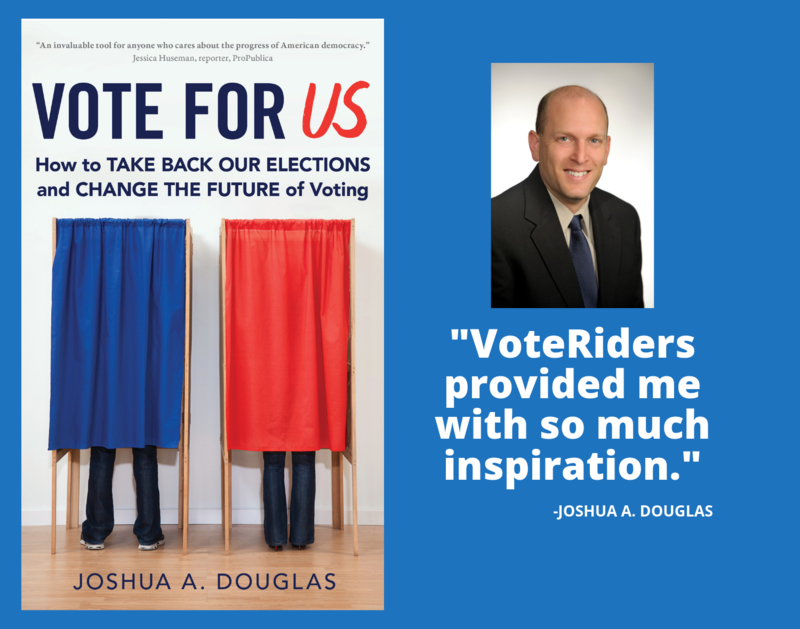 VoteRiders can help you exercise your democratic right to vote in Alabama. We are experts in helping eligible voters obtain valid ID for voting. 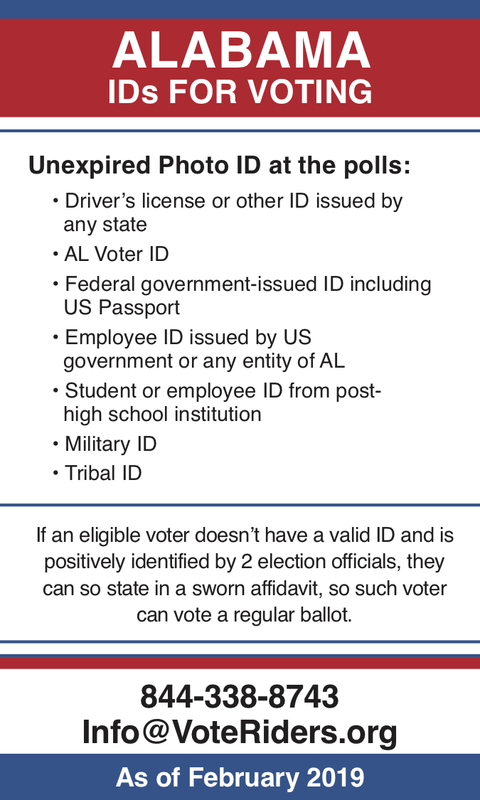 It can be confusing to understand Alabama's voter ID requirements, so we provide updated resources and free assistance to help you with voter ID questions including how to replace your expired ID cards, how to obtain the documents needed to secure your ID, and how to correct errors in your birth certificate. 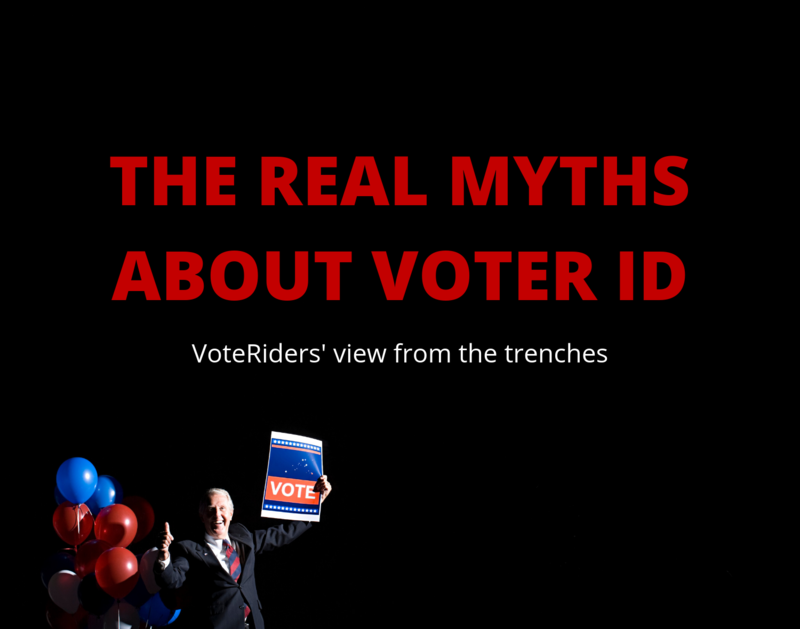 For questions or help obtaining AL ID to vote, call VoteRiders’ Voter ID Helpline: 844-338-8743. If an eligible voter doesn’t have a valid ID and is positively identified by 2 election officials, they can so state in a sworn affidavit so such voter can vote a regular ballot.